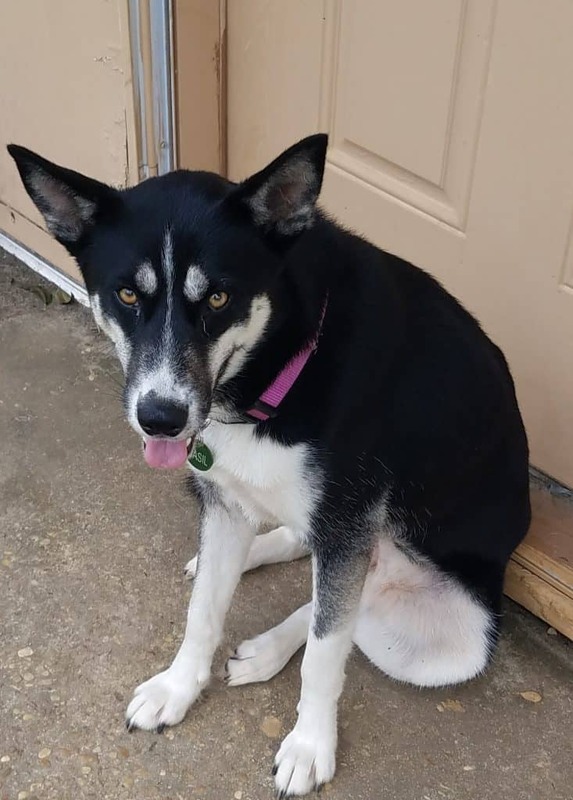 Alliekat is an amazing 2 year old female Black Lab Siberian Husky mix dog for adoption through Boomerang Animal Rescue in Andalusia AL, Healthy, fixed, shots, house trained. Good with kids, dogs, cats. Adopt Alliekat today. Questions about Alliekat? 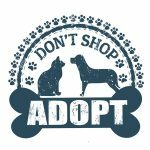 Contact Boomerang Animal Rescue today. We look forward to hearing from you. 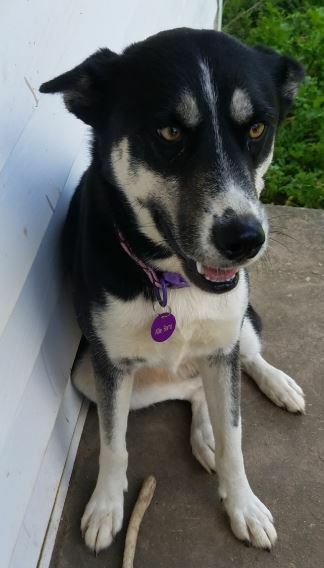 Alliekat is a female, spayed, Siberian Husky Black Labrador Retriever mix who will be 3 years old On Feb. 9, 2019. If you have husky or adopter experience, please consider this loving little lady. Alliekat’s prior owner could not care for her due to illness and is in the loving care of a guardian. She is a sweet intelligent animal who is full grown at 40 pounds. She will need a fenced in yard and daily runs. She likes to be engaged in activity and bonds deeply with her human. She LOVES car rides, walks and adventure. Inside she is quiet and will play quietly with her toys all day. She was an indoor dog but has now adapted to living mostly outdoors Being an indoor dog would suite her fine. She gets on with dogs or cats but would also thrive in a one dog home. She talks and is quick to learn. 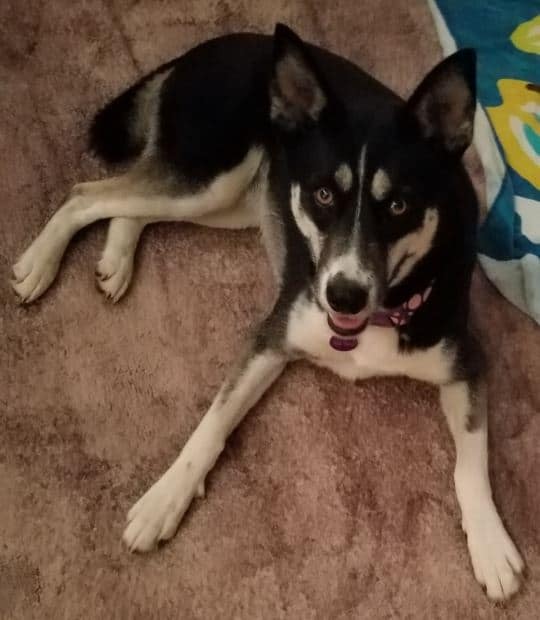 She is medium hair Siberian Husky Black Labrador Retriever mix and does not shed large amounts like a large husky nor does she have a dog smell. She is very clean about herself and eats 4 Health Dog Food. She is as sweet as they come. Serious inquiries only. A 4 ever home with an active person or couple with husky or training experience that has time and energy would be ideal. She has a fear of enclosed crates to please do not crate her. There is a small adoption fee to cover vaccines and rabies. She is up to date on all shots and her vet info will be provided. Her color is purple, and her favorite toy is her squeaky pig. She could likely be trained to do many things and be a wonderful emotional support animal. Alliekat is gentle and bonds deeply with humans. She is stunningly beautiful. Contact me for more details. Thank you! Allie was found by a dollar store and was unwanted by her owner who was to ill to care for her. I work with a rescue and am her guardian for about 3 months. she is not my dog but I do care for her. we are relocating at years states away and already have other animals so we cannot keep her. Allie needs stable loving home and could easily be an emotional support animal. 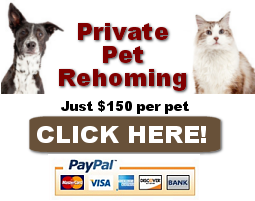 Contact Boomerang Animal Rescue today. We look forward to hearing from you. Adopt this sweet Siberian Husky Black Labrador Retriever mix Dog in Andalusia AL today.